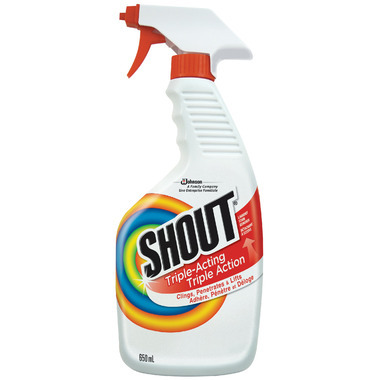 I have been using this product for years and it works well on my stained clothes. Will buy again. I hope Well.ca gets the Shout Refill. Works well. I spray it on any stains before items go in the laundry hamper. Sometimes they sit for days before being washed, sometimes they go into the wash immediately -- either way, the stain almost always comes out. Sometimes will even take out stains that have gone through the dryer. It works well. I find the trick to stains is not to put the garment in the dryer after you've washed it.